While 2017 activity was dominated by e-commerce retailers including Amazon.com, 2018 looks to be the year of the third-party logistics companies (3PL), with 3PLs signing a majority of the large transactions in 2018. 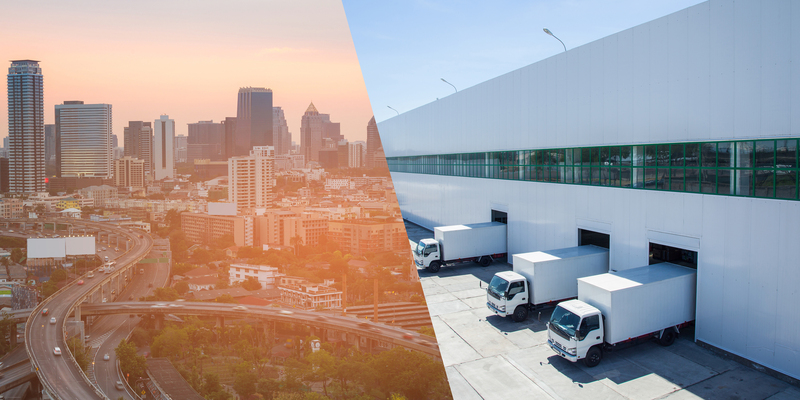 The 3PL industry is expanding its e-commerce distribution capabilities faster than any other major industrial occupier, and this looks to continue in the coming quarters and will be a major demand driver in 2019. On the investment side, capitalization rates (cap rates) held steady at 5.7% in 2018, with many core markets posting cap rates at or near 5%. While demand for big-box product was solid in core markets, the decreased amount of product to purchase in these markets has pushed investors into secondary markets, where fundamentals are improving and there are more opportunities for higher yields. In this unique interactive report, we examine the record strength of the North American big-box industrial market in 2018, which includes the seven core North American big-box markets, as well as nine emerging secondary markets. We will highlight the fundamentals, take a look at demand factors including demographics and logistics capabilities and will assess what lies ahead for 2019 and beyond. The demand for labor has been magnified by e-commerce distribution's heavy employee counts and significant seasonal spikes in demand. Big-box e-commerce occupiers can require two to three times the amount of labor as a traditional distribution user needs. 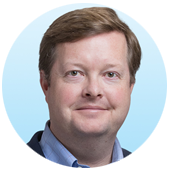 With labor demand increasing, more companies will require more advanced site selection processes to grind down the exact submarkets where available labor can be found, and this process in site selection will gain importance over a submarket's logistics advantages and building functionality. Despite these headwinds, the big-box market seems poised for continued growth. The North American economies remain strong; transportation costs continue to rise at a rate faster than taking rents; e-commerce continues to grow at a faster rate than traditional in-store retail; and logistics drivers from the air, ground, sea and rail continue to post gains. These drivers should outweigh the headwinds and create strong demand and rental rate growth in big-box markets for the foreseeable future. Occupiers' supply chain strategies throughout the United States are going through immense changes because of the rapid growth of e-commerce. In 2018, much attention was given to the final-mile and the challenges and opportunities that arose from this demand, especially in urban areas. While final-mile real estate got the majority of the press, the backbone of distribution throughout North America remained regional big-box distribution centers. The North American big-box market continues to ride a wave of robust demand brought on by a solid U.S. economy and, of course, the rapid rise of e-commerce. This demand is fueling record leasing activity, net absorption and development for big-box product throughout North America. 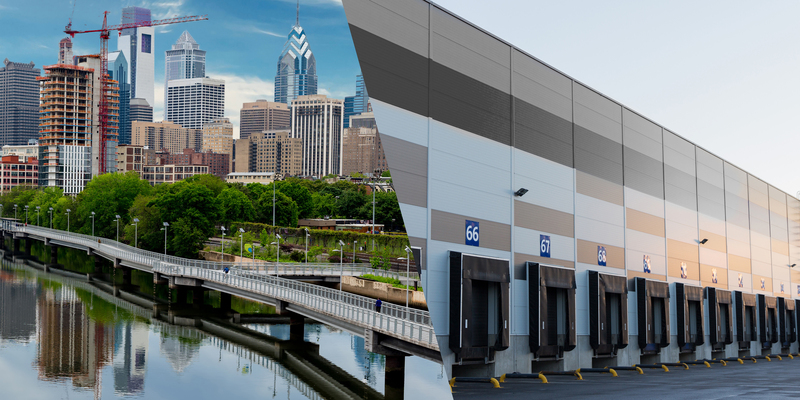 A variety of factors across North America created record demand for big-box industrial facilities across the country in 2018. Core markets including the Inland Empire, Atlanta, Dallas-Fort Worth, Chicago, Northern-Central New Jersey, Southern New Jersey-Eastern Pennsylvania and Toronto all posted robust fundamentals, while emerging secondary markets that are near the fastest-growing population centers and in close proximity to the most utilized logistics hubs in the region continued to grow. 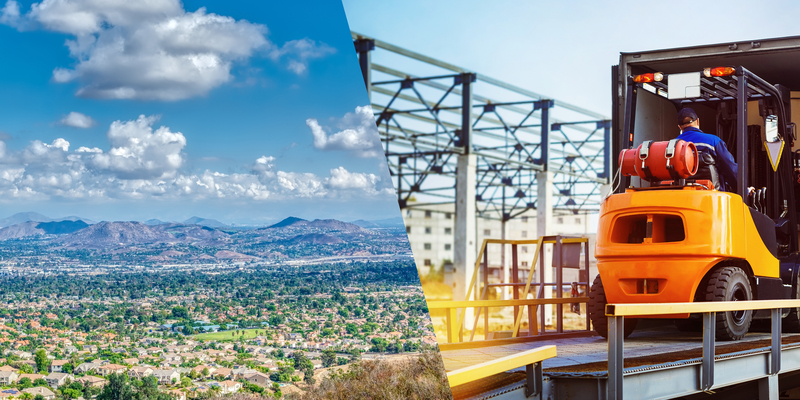 The Inland Empire remains the best performing big-box market in North America because of its excellent location, available land for development and strong labor force. The Inland Empire led North America in 2018 with more than 27 million square feet of new leasing, and produced a record 20.8 million square feet of net absorption. While the Inland Empire posted superior absorption figures compared with last year, many other markets posted year-over-year absorption increases. Markets posting the largest year-over-year increases in overall net absorption include Cincinnati (80.3% increase), Northern California (105.7% increase), and the I-4 Corridor (228.6% increase). Although demand remains strong, the lack of large big-box space in nearly all of the markets tracked in this report (750,000 square feet and more) kept fundamentals from rising much farther. At year-end, there were 694 existing distribution buildings larger than 750,000 square feet in the U.S. (17% are in the Inland Empire) and only 39 of these were fully vacant. Although we predict fundamentals to remain robust in 2019, there are headwinds to look out for. The issue causing the greatest concern is global trade. Growing trade tensions with some of our leading trading partners could undermine big-box demand, especially in port markets. China is of particular concern, as it is not only our top trading partner—including both imports and exports— but has the greatest trade imbalance with the U.S. 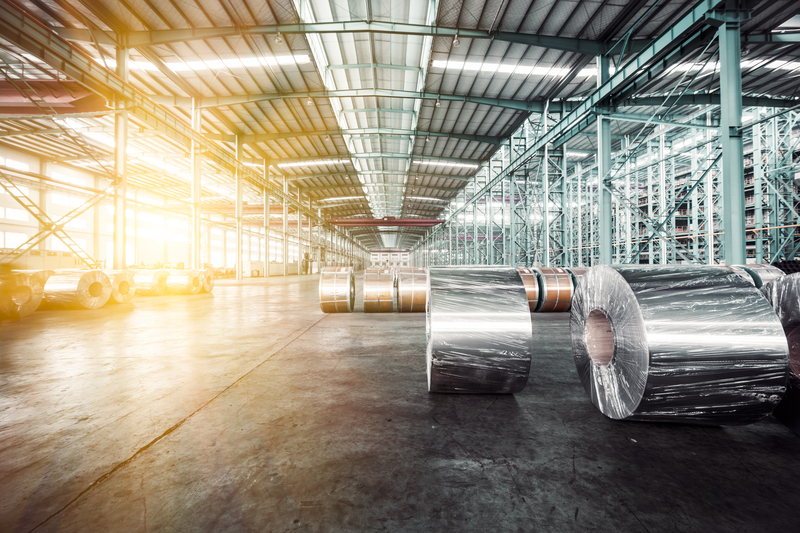 While recent communications from Washington point to a willingness to negotiate a trade deal with China, industrial real estate demand could take a hit in the coming year if no deal is reached and tariffs are increased to 25%. Also, the election of a Democratic majority in the House of Representatives has made prospects for passage of the new North American Free Trade Agreement (NAFTA) deal less certain, potentially disrupting trade with Mexico and Canada and potentially negatively affecting industrial real estate markets along major trade routes between the three countries. Unless otherwise specified, all report data is for year-end 2018.
on the Atlanta market, with 17.7 million square feet under construction—tied for first with the Inland Empire. Investor demand remains strong with many large-scale transactions closing. Because of robust activity, cap rates dropped below the North American average for big-box space, finishing 2018 at 5.5% Atlanta has the necessary factors for continued robust fundamentals. Its central location in the Southeast U.S. provides access to 28 million people within 250 miles. Along with growing inland logistics capabilities, these factors will be a boon for the market. In the coming quarters, it is expected that net absorption will remain positive and on par with 2018, vacancy rates will decline, cap rates will remain low and taking rents will rise above its current record high. One of Atlanta’s many logistics advantages is its close proximity to the Port of Savannah, the fourth-largest seaport in North America and the second-largest on the East Coast. The Port of Savannah is home to the Garden City Terminal—the largest single terminal in the U.S., which operates two Class I rail yards. Some of the largest industrial markets in the U.S., including Atlanta, are within just a four-hour drive from the Port of Savannah. In 2018, the region became home to the Appalachian Regional Port. The new inland port located in nearby Chatsworth, GA offers direct rail service from the Port of Savannah’s Garden City Terminal, significantly lowering truck traffic through the Atlanta area. of new leasing activity in 2018 is an all-time record. With its multitude of logistics advantages, and more than 37 million people residing within 250 miles, Chicago remains one of the most in-demand big-box markets in North America. Because of this demand, fundamentals were robust in 2018, with strong leasing activity, lower vacancies, significant investor activity and increased taking rents. New leasing activity was robust once again in 2018, with just under 16.5 million square feet of new transactions signed, an all-time record for the market. Continued strong activity kept net absorption positive at nearly 11 million square feet, the fourth consecutive year net absorption surpassed 10 million square feet. Strong activity raised first year taking rents to $4.58 per square foot per year NNN, a $0.05 per square foot per year increase compared with the same time a year ago. Increased rents kept investor interest strong and sale prices high, keeping cap rates low at 5.1%, the fifth consecutive year cap rates were less than 6%. per year average first year taking rent in 2018 is the highest on record. Overall vacancy rates declined in the region to 9.1%, 50 basis points lower than the previous year. Despite lower vacancies and new development dipping—finishing at a still-strong 10 million square feet in 2018—there was an additional 15.7 million square feet under construction at year-end. With demand expected to keep its current pace, and new supply from development expected to increase, vacancy rates will remain stable and taking rents will continue its upward trajectory in the coming year. Look for e-commerce, retail and wholesale occupier demand to stay robust, but the biggest increases in occupier demand will come from the third-party logistics industry as many of its occupiers look to shore up their footprint in core markets across the country to increase their ability to service their clients’ e-commerce requirements. Chicago is the major rail center of the United States. Six of the seven rail lines have hubs in the greater Chicago area, a primary reason the region is one of the largest big-box industrial markets in the country. The region claims 70% of the nation’s rail and intermodal activity. Rail is not the only logistics advantage the region provides. Three of the nation’s busiest transcontinental expressways cross through the region. The Chicago Air Gateway comprises O’Hare International Airport and the Midway Airport. Consistently recognized as one of the busiest airports in the world, Chicago O’Hare International Airport is not only a national aviation hub, it is also a global air cargo gateway, providing billions of dollars in trade to Chicago’s economy. Chicago O’Hare is the fourth-busiest cargo airport in the U.S. and its cargo capabilities will continue to be an advantage for occupiers in the region. The Cincinnati big-box market is particularly well-suited to meet the growing demand for faster delivery and the accompanying demand for warehousing and transportation. While demand from e-commerce and general retail companies continues, 3PLs expanded within the market at a robust pace in 2018, signing many large deals. 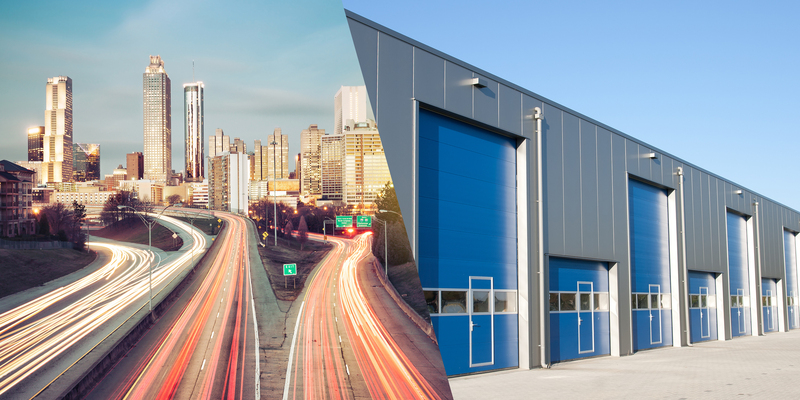 These deals helped drop industrial big-box vacancies to all-time lows, activity to all-time highs and increased new development. By year-end, nearly 5.8 million square feet of big-box product had leased. The significant amount of leasing activity increased net absorption to 5.2 million square feet, more than double last year’s total and by far the most annual net absorption for the region on record. of overall net absorption in 2018 is an all-time record. The exceptional activity is pushing up taking rents, which finished 2018 at a decade-high $4.00 per square foot per year NNN. Demand has also driven up investor activity in the market with many investors including Mapletree Investors and Blackstone who made large acquisitions in 2018. Despite increased investor demand, cap rates remain above the national average, finishing 2018 at 6%. All signs point to continued growth in the Cincinnati big-box market in the coming quarters. The market’s logistics advantages and pro-business policies will drive an increasing number of occupiers to move into or expand within the market. This will keep activity, development and rent growth strong in the region for the foreseeable future. Cincinnati’s central location makes it an ideal location from a logistics standpoint. Cincinnati is becoming an e-commerce destination due to its large workforce, excellent transportation advantages and a population of more than 35 million people within 250 miles. Cincinnati’s two main airports make the region one of the prime air freight markets in the country. The Cincinnati/Northern Kentucky International Airport is one of the largest air cargo ports in the country, finishing in the top ten in 2018. The market has the advantage of also being near the Louisville International Airport, ranked the third largest cargo airport in the U.S., which is home to UPS’ international air hub. While Cincinnati was not chosen as the location for Amazon.com’s HQ2, it is home to the new Amazon Prime Air hub. 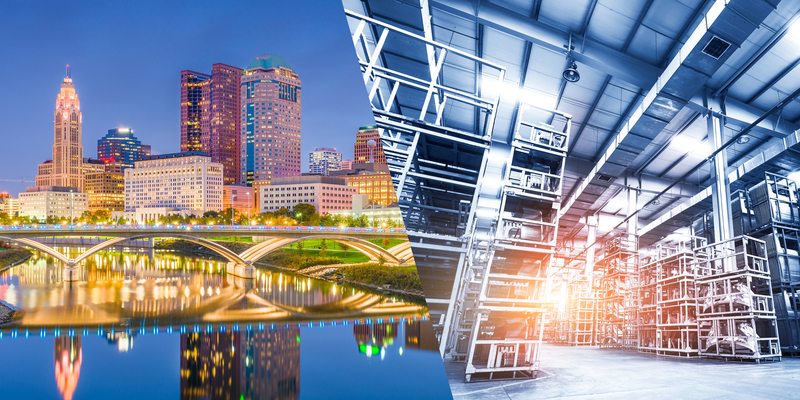 Columbus is one of the fastest-growing big-box markets because of its plethora of logistics advantages and its location near a large young population. Occupiers continued to lease space at a rapid pace in 2018 with more than 9.3 million square feet of new leasing activity, nearly double last year’s total, and the second highest mark on record. The large amount of leasing activity kept occupancy gains strong at 3.7 million square feet, nearly 25% higher than 2017. 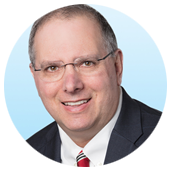 Positive absorption will continue at a rapid pace in 2019, as many of the large transactions signed in late 2018 will occupy—a good sign that 2019 will finish with the 10th consecutive year of positive absorption for big-box space. Continued positive absorption drove up first year taking rents to an all-time high of $3.57 per square foot per year NNN, 7% higher than the previous year. Columbus is ripe for increased investor demand because of higher taking rents and a cap rate of 7.1%, much higher than nearby core markets. live within 250 miles of Columbus. Developers were bullish about the Columbus industrial market in 2018, with 4.8 million square feet of new development. Factors driving development include a booming inland port and a growing population base of nearly 36 million people within 250 miles of Columbus. These factors are also increasing e-commerce and retail demand in the region, with Amazon.com and Goodyear taking large facilities in the region. In the coming quarters, look for leasing activity to stay strong, keeping net absorption positive, and taking rents to continue their rise for the foreseeable future. With new development decreasing the first half of 2019, vacancies will decrease, but new development is warranted and needed—at the time of this report there was only one vacant building in Columbus larger than 500,000 square feet. The Rickenbacker Inland Port serves as a hub for importing and exporting freight via air and rail, positioning Columbus to take advantage of future increases in shipping to East Coast ports driven by the expansion of the Panama Canal. The majority of rail freight traveling to Columbus is international and reaches the Ohio Valley via East Coast and West Coast ocean ports. The port is serviced by Norfolk Southern and CSX. The Norfolk Southern Rickenbacker Intermodal Terminal, which covers 175 acres and can handle more than 400,000 containers annually, is located in the heart of the facility. The land development within the port has the capacity to grow to 70 million square feet of industrial space. Dallas-Fort Worth’s location, abundance of land and strong labor force makes it one of the fastest-growing big-box markets in the country. While activity was not on par with 2017, there were still plenty of new transactions signed in the region, bringing new leasing activity to nearly 23 million square feet in 2018, the fifth consecutive year that new leasing activity surpassed 20 million square feet and the third-highest in North America. Net absorption was also robust at just over 14 million square feet, the fourth consecutive year exceeding 10 million square feet. Continued strong leasing activity and positive net absorption put upward pressure on taking rental rates. 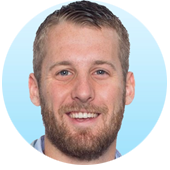 The first year taking rents for big-box product finished 2018 at a record high $3.82 per square foot per year NNN. While record high rents would be a cause for concern in previous cycles, rapidly expanding transportation costs make locating in Dallas-Fort Worth necessary to any occupiers supply chain and mitigates the expanding cost to rent facilities in the region. Cap rates in the region are higher than the North American average, finishing 2018 at 6.6%, as the Dallas-Fort Worth market continued to offer investors the potential for higher yields compared to other core markets in the U.S. Despite a decline in activity, new construction continues to be completed at a rapid pace with nearly 20 million square feet of construction completions. There is no end in sight to the massive amount of big-box development in Dallas-Fort Worth, as more than 15.3 million square feet of big-box product was under construction at year-end. Because of continued new development, overall vacancy rates are on the rise, finishing 2018 at 11.2%, the highest vacancy rate since 2011. There are plenty of reasons for optimism for the Dallas-Fort Worth big-box market for 2019 and beyond. The population is growing, with more than 26 million people within 250 miles of the core. Labor is abundant and average hourly wages for warehouse workers finished 2018 at $13.63, lower than the national average of $13.97 per hour. Corporations continue to move their headquarters into the region at a swift pace, attracting new consumers. Also despite a drop in activity in 2018, there are plenty of tenants currently looking for space, which will increase leasing fundamentals in the first half of 2019. With Dallas’ economic prowess and rising population, big-box activity will likely remain strong and continue to absorb much of the new development in the region in the coming quarters. 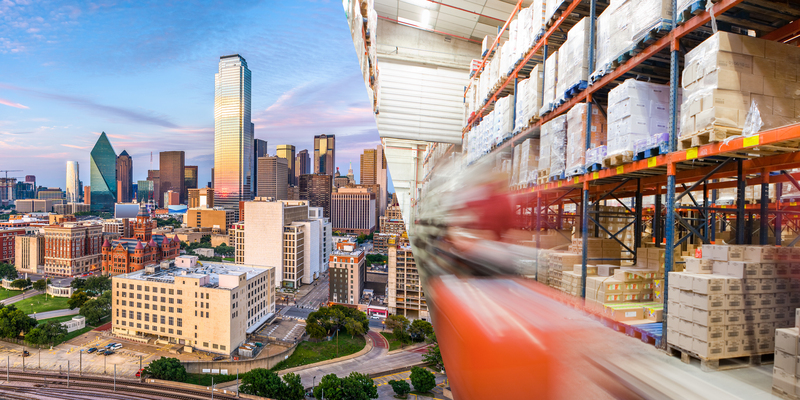 Dallas-Fort Worth’s central U.S. location enables the market to act as an advantageous distribution hub, with quick access to rail, air and truck transportation. The region is a global inland port with two locations capable of large-scale cargo operations: Alliance Global Logistics Hub and Southern Dallas County Inland Port. Home to major rail logistics operations for the two primary western U.S. railroads—BNSF Railway and Union Pacific Railroad—Dallas-Fort Worth can tap into major east-west arteries and provide important links to Mexican markets. By truck, distributors can efficiently move products throughout the central United States, reaching 93% of the population within 48 hours. Big-box activity was solid in 2018 with 3.9 million square feet of new leasing activity. This kept net absorption positive for the fifth consecutive year, at 1.4 million square feet. Despite a double-digit vacancy rate, new development increased in 2018 with a record 4.2 million square feet completed. Because of higher vacancies, developers do seem hesitant to break ground on new product, as at year-end only 1.9 million square feet was under construction. Despite higher vacancies to finish the year, signs point to continued growth in the Greater Phoenix big-box market in 2019. There are a solid number of tenants currently in the market, ranging from e-commerce retailers to 3PLs, to data center occupiers—a growing demand driver in the region. The region will compete with Southern California for new occupiers because of its economic rents, strong labor force, availability of modern product, and pro-business environment. Because of this activity there will be upward pressure on taking rents and sale prices, and cap rates will remain low for the foreseeable future. Phoenix expanded its local interstate system including improvements and expansions to Loop 202 and 303—this along with its location along I-10 gives the market a significant logistical advantage in reaching the Southwest populace. Rail access is also robust with two transcontinental railroads servicing the area. The Phoenix Sky Harbor Airport is a burgeoning air cargo hub utilized by both FedEx and UPS that recently ranked 18th in the country in total cargo. The Greater Phoenix region’s biggest logistics driver is its populace. 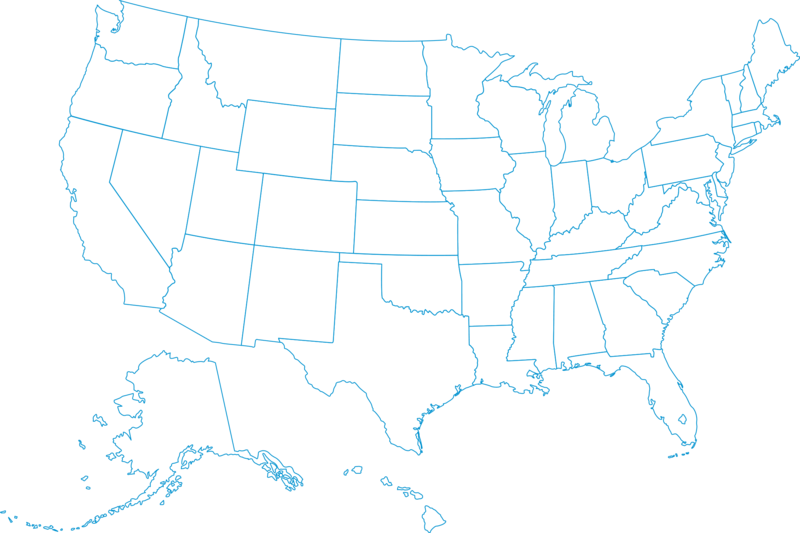 The region boasts a growing population and the third-largest labor pool for distribution occupations in the Western U.S. Distribution wages are lower than California and the state is a right to work state. With the increased need for labor because of e-commerce, the region will continue to prosper for the foreseeable future. The Greater Phoenix big-box market remains an attractive option for occupiers and investors because of its proximity to a growing population, a strong workforce base, an expanded and modernized highway system and more attractive rental rates compared to markets in Southern California. Nearly five million people live in the Phoenix metro area—the 12th highest in the U.S.—and this number is expected to grow over 8% in the next five years, according the U.S. Census Bureau. 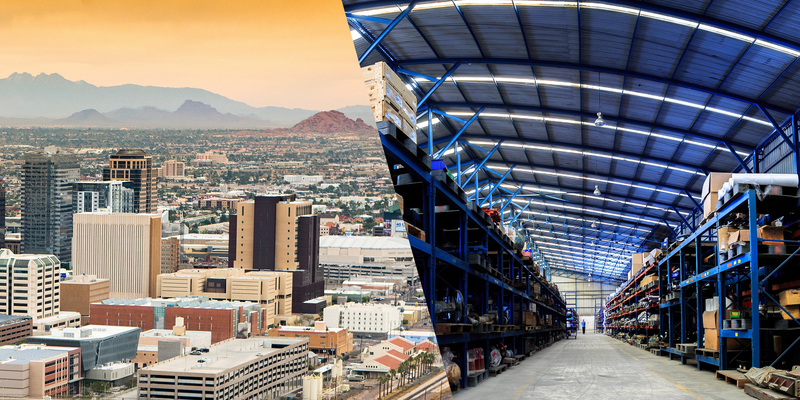 Phoenix also has an affordable workforce compared to other industrial markets in the Southwest, with hourly warehouse workers making an average of $14.25 per hour at year-end, much lower than the Inland Empire’s average of $14.70. 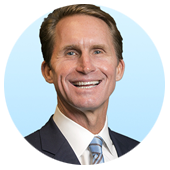 The Greater Phoenix market was one of the hardest hit by the subprime mortgage collapse and subsequent recession, with overall vacancy rates for big-box product topping out at a whopping 30% in 2009. Much of that vacancy was occupied as the economy improved, dropping to 9.9% in 2012, then escalated as new speculative development increased to coincide with the demand for e-commerce fulfillment centers. The market finished 2018 with an overall vacancy rate of 18.8%, 2.8 percentage points higher than 2017, but 0.9 percentage points lower than 2016.
completed construction in 2018, the most in over a decade. Houston’s booming port and growing population is creating robust demand and increased development for big-box product in the region. More than 24 million people live within 250 miles of Houston and the city’s population is growing at a rate of 1,000 people per week. This robust demand continues to lower big-box vacancies in Houston which finished 2018 at 4.9%, the lowest vacancy rate in more than 10 years. 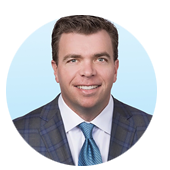 The lack of available stock in Houston lowered new leasing activity in 2018 to 6.4 million square feet, the fourth consecutive year new leasing surpassed six million square feet. Despite low leasing, occupancy gains remained strong at 7.1 million square feet, the second highest total on record. Continued positive absorption kept first year taking rents high at $5.03 per square foot per year. Like many markets, the high taking rents are not a cause for concern, as the rate of rental growth is below rapidly increasing transportation costs. rate in 2018 is the lowest in over a decade. Developers have taken notice of the lack of available product to significantly increase big-box construction in the region. In 2018, a record 7.2 million square feet completed construction. More than half were in buildings larger than 500,000 square feet—a size range that is in most demand from e-commerce occupiers. Product under construction remains strong at seven million square feet—the majority of this is in product smaller than 500,000 square feet. In 2019, new development greater than 500,000 square feet is needed, as at year-end only one existing building in this size was 100% vacant. Demand for big-box product in Houston will likely continue for the foreseeable future. The Port of Houston is booming with significant growth in both loaded inbound and outbound container volume. This, along with continued population growth, will increase leasing activity, investor demand, new development and taking rental rates in the coming quarters. The Port of Houston remains a top demand driver for big-box space in the region. One of the top growth ports for loaded inbound container volumes, the Port of Houston draws on recent infrastructure improvements and two rail yards to funnel product to and from warehouses in the Houston region. Among other factors, the expansion of the Panama Canal should help keep demand strong for industrial product in the market for the foreseeable future. Houston’s air cargo capabilities also continue to grow. The George Bush International Airport is currently the 16th ranked cargo airport in the U.S. Houston’s logistics advantages also include more than 2,000 trains serving the region weekly. Kansas City Southern provides intermodal service through Houston, connecting the American Midwest and Mexico. The I-4 Corridor industrial market is one of the fastest growing and most dynamic industrial markets in the country. More than 21 million people live within 250 miles of the market's core, making it an ideal location for retailers, wholesalers and 3PLs to locate. Nearby Orlando is also home to a burgeoning millennial population, making the market extremely popular for distribution facilities. 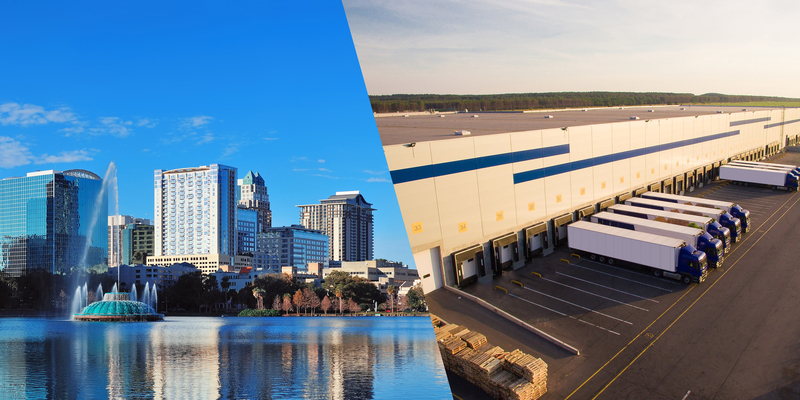 While most of the I-4 Corridor’s growth was previously focused on smaller industrial buildings, big-box facilities are being developed and occupied at a brisk pace, making it a big-box market to watch in the coming quarters. Big-box activity accelerated in 2016 with more than 5.6 million square feet of new leasing activity—2017 followed suit with an additional 7.7 million square feet. This nearly 14 million square feet of leasing activity absorbed most of the available big-box stock in the region, lowering new leasing to 5.2 million square feet in 2018. The overall vacancy rate for big-box product finished 2018 at a decade low 4.9%, with most of this vacant space in buildings smaller than 500,000 square feet. At the time of this report, there were no fully vacant existing building larger than 500,000 square feet on the market. The lack of 500,000 plus square foot product, combined with growing demand for this size range from e-commerce and 3PL tenants has created a significant opportunity for speculative development in the region. Despite this demand, new development has been slow to start, but did pick up the pace in 2018 with four million square feet of new completions. A record 5.9 million square feet is under construction, however 4.9 million square feet of this is in product smaller than 500,000 square feet. 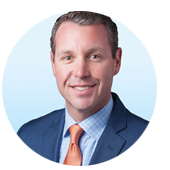 Investment activity in the region is picking up in 2018, evidenced by many large transactions signed including Tratt Properties’ purchase of one million square feet and TA Realty’s purchase of 857,000 square feet in Orlando. A pick up in investment activity dropped cap rates for big-box facilities in the region to 5.8% in 2018, a number on par with the national average. The I-4 Corridor has all of the demand drivers for a pickup in big-box activity in the coming quarters. The market is ripe for larger development, with a massive need for facilities larger than 500,000 square feet. While many parts of the country struggle with labor shortages, the entire Central Florida region has an employment concentration that exceeds the national average. Both foreign and domestic logistics companies benefit from a large available workforce and industry-focused educational programs including Polk State Corporate College’s Supply Chain and Logistics Institute and Florida Polytechnic’s concentration in Material & Supply Chain. Not only is labor readily available in the I-4 Corridor, it is also affordable with average warehouse worker wages finishing 2018 at $12.96 per hour, $1.00 an hour lower than the national average. The region is home to strong ground and rail freight capabilities including the CSX Integrated Logistics Center (ILC) in Winter Haven. The ILC has also been a major boon to all of Central Florida’s logistics and distribution industry. This centralized transportation hub features a 318-acre terminal adjacent to 930 acres of industrial and business park space slated for use by light industrial facilities and warehouse distribution centers. The region is home to two international airports (Orlando and Tampa), both with growing cargo handling capabilities. The I-4 Ultimate Project is a 21-mile makeover—from west of Kirkman Road in Orange County to east of State Road 434 in Seminole County that will improve truck flow throughout the area. is the lowest in over a decade. the second half of 2018. While development in 2018 was impressive, 2019 could dwarf it, as a record 7.3 million square feet was under construction at year-end. Like many emerging big-box markets in the country, the Indianapolis region has a lack of product larger than 750,000 square feet despite increased demand from e-commerce occupiers. At year-end, only two buildings in this size range were fully vacant, but thankfully, 3.1 million square feet of product in this size range is under construction and will bring much needed inventory in 2019. 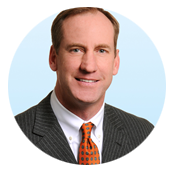 The Indianapolis market is set up for continued growth in the coming quarters. Taking rents for big-box space skyrocketed in 2018 to $3.76 per square foot per year, and while this trend looks to continue in the coming quarters, big-box rents in the region will still remain more economical compared with nearby core markets. 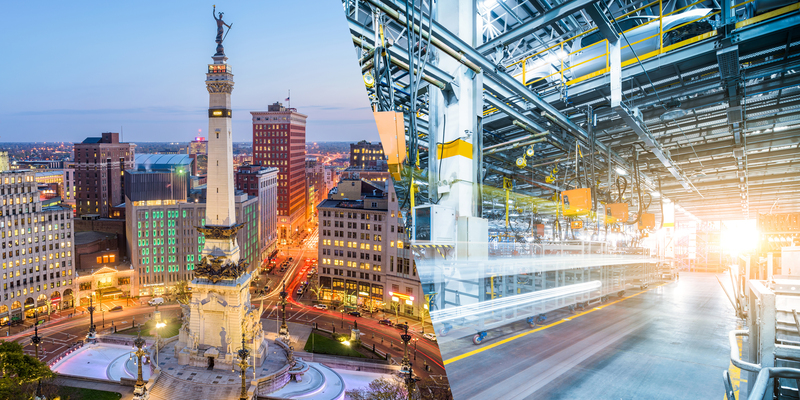 Occupiers will also choose Indianapolis at a greater pace compared with other Midwest markets because of its strong labor, pro-business environment and plethora of logistics advantages. All of this means robust leasing, positive absorption, more development and more investor interest in the region for the foreseeable future. With access to five interstates—I-65, I-69, I-70, I-74 and I-465—and five major railroads, Indianapolis’ central location makes it an ideal logistics hub. This advantageous location is the reason FedEx chose to house its second-largest hub at the Indianapolis International Airport. Located less than 20 minutes from downtown Indianapolis, the Indianapolis International Airport is one of the largest cargo centers in the United States, and was recently ranked seventh for total cargo handled in the U.S. As a result of its cargo capabilities, the airport generates more than $4.5 billion for the area’s economy each year on average. The Inland Empire cemented itself in 2018 as the top big-box market in North America, and for good reason. At just over 340 million square feet, the Inland Empire big-box market is the largest in North America. With more than 28 million people within 250 miles of its core and a strong labor force, the Inland Empire is a leader for e-commerce distribution. This is evidenced by the more than 10 million square feet that Amazon.com occupies in the region. Not only is the Inland Empire the largest big-box market, it is also the most dynamic. Big-box occupiers continue to move into or expand within the region at a record clip, leading to massive amounts of new activity in 2018. Just over 27.7 million square feet of big-box product leased—the most in North America in 2018. This new leasing pushed overall net absorption up to 20.8 million square feet, the most for the region on record and also the most net absorption in North America in 2018. Robust demand in the region dropped the overall vacancy rate to a record low 4.4%. One of the Inland Empire’s top advantages is the amount of land available for development, especially in the Inland Empire East. of overall net absorption was an all-time record for a market in North America. With demand at all-time highs, more than 22.5 million square feet of big-box space completed in 2018, another all-time record for the region. The pace of new development will only drop slightly in 2019, with 17.8 million square feet under construction at year-end. Insatiable demand continues to put upward pressure on taking lease rates, which finished 2018 with an average of $5.04 per square foot per year NNN, the highest on record. While in previous cycles, the record high rents would have been a sign of a decline in demand, this is not the case now. Since occupiers need to cut transportation costs (the highest cost in the supply chain) and get products to consumers as quickly as possible, the record high rents are less of an issue. All signs point to continued growth for the Inland Empire big-box market in the coming quarters. 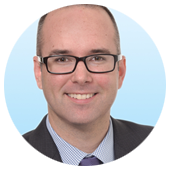 Tenants in the market remain robust and should be enough to occupy the development currently in the pipeline and keep vacancy rates at all-time lows. Investors will continue to try to enter and expand within the market, driving up sales prices and keeping cap rates well below the 5% range for the foreseeable future. The Inland Empire offers a plethora of logistics advantages, including close proximity to the two largest seaports in North America: the Port of Los Angeles and the Port of Long Beach. The two ports combine to handle more than half of the loaded inbound container volume entering the United States and remain one of the top demand drivers of industrial space in the Inland Empire. The region also boasts access to two interstate highways (I-10 and I-15), offering direct transportation across the east and north United States. In addition, the UPS Regional Air Hub at Ontario International Airport serves customers throughout the western United States, Hawaii and Canada. The Ontario International Airport continues its cargo handling capabilities and is currently ranked the #12 cargo airport in the United States. With just over 42 million square feet of big-box real estate, Kansas City is the smallest market showcased in this report. 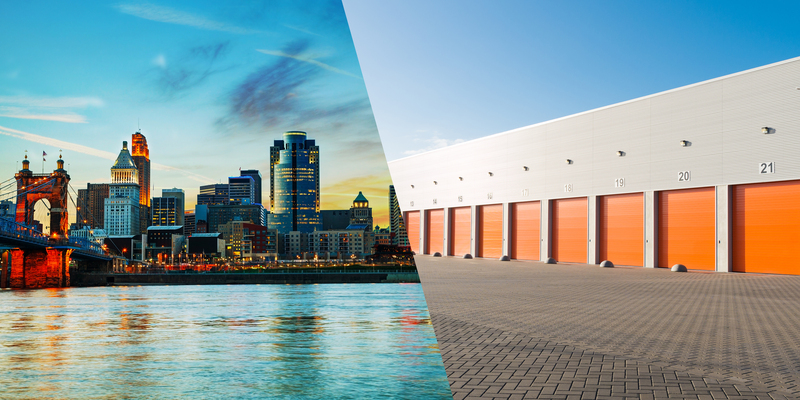 While the region is much smaller than the core markets, its logistics advantages provide a wealth of opportunity for both occupiers and developers. Kansas City’s geography provides a level of access to consumers that is difficult to match in North America. 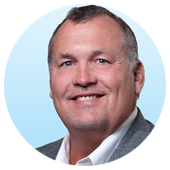 Driven by the need to quickly deliver products to consumers, big-box activity continues to increase in Kansas City. The market posted more than five million square feet of new leasing in 2018, the third consecutive year that leasing surpassed this amount. This activity, along with many build-to-suits that completed construction in 2018, drove up net absorption to a record high 3.7 million square feet in 2018. Despite a massive amount of speculative big-box development over the past eight quarters, vacancy dropped to single digits for the first time since 2015, at 8.8%. Overall, 3.6 million square feet completed construction in 2018—however 2019 could double this with 6.2 million square feet under construction. Because of strong activity in Kansas City, and the potential for more in the coming year, investors are purchasing industrial product at a brisk pace with companies including Exeter and Sealy & Company expanding their portfolios here. This activity dropped cap rates to 6.2% at year-end. While new construction will significantly increase existing product on the market in 2018, much of this space should lease quickly. This will keep vacancy rates stable for the foreseeable future. The market continues to do well with all occupier types, evidenced by large leases from the e-commerce, manufacturing and 3PL sectors in 2018 and this will continue in the coming quarters. With demand from e-commerce expected to increase in the coming year, the Kansas City big-box market will thrive with higher levels of absorption projected for the foreseeable future. Kansas City is one of the most logistics-friendly industrial markets in the country. Its ground, air and rail offerings rival all other markets in the U.S. Logistics Park Kansas City (LPKC) continued to grow and attract tenants at an unprecedented pace. The park is served by BNSF Railway and continues to show the growing demand for occupiers to be near inland ports with a capacity to hold 17 million square feet of industrial buildings. There are more than seven million square feet of distribution facilities at LPKC, with speculative and build-to-suit opportunities available. In addition to its inland port and substantial rail capabilities, Kansas City is home to a growing air cargo operation. While the Kansas City International Airport only ranks 36th in total cargo, it is one of the fastest growing cargo airports in the country, showcasing the rising distribution importance of the market. Four cargo companies operate from the airport including DB Schenker, DHL, FedEx and UPS. Memphis is an international distribution hub with a transportation and logistics infrastructure that is second to none. Because of this, occupiers and developers alike are increasing their big-box footprint here. Despite continued demand, Memphis remains the most economical big-box market in North America, with taking rents averaging only $3.50 per square foot per year NNN in 2018. At year-end, 13 million square feet of big-box product leased in Memphis, 4.2% higher than 2017. Despite continued strong leasing, some large move-outs and new speculative development increased the overall vacancy rate in the region to 7.5%, its highest rate since 2014. The higher vacancy rate is temporary as there is already strong activity in the newly-constructed product, and most of this space is projected to lease in 2019.
of construction completions in 2018 is the most in over a decade. A record 6.6 million square feet of big-box space completed in 2018, nearly double the previous record of 3.8 million square feet in 2016. Developers are banking on continued demand in the region, with an additional 3.5 million square feet currently in development. Not only are institutional investors building more in the region, they are also increasing their portfolios by purchasing existing stock. 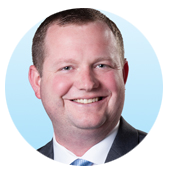 Lexington Realty Trust and Mapletree Investments both made major investments in the region in 2018, keeping cap rates at 6% for the third consecutive year. Despite an increase in the vacancy rate in 2018, the future looks bright for the Memphis big-box market in the coming quarters. 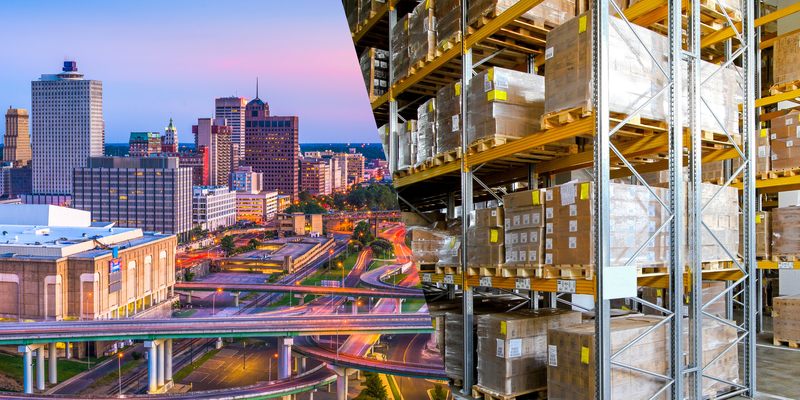 Many tenants are in the market and this looks to continue into 2019 as occupiers increase their presence near Memphis’ important logistics hubs. 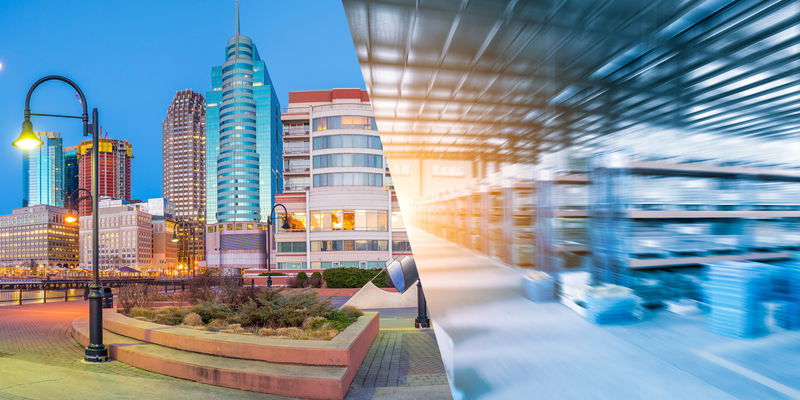 Because of this, look for newly constructed space to quickly absorb, dropping vacancy rates and keeping rents on an upward trajectory for the foreseeable future. Memphis International Airport is recognized as one of the world’s busiest air cargo airports. Due to its popularity among passengers (140,000 each month on average) and logistics professionals alike, the airport has an estimated annual economic impact of $23.3 billion and affects 25% of the city’s jobs, according to the University of Memphis. With its headquarters in Memphis, FedEx represents roughly 98% of the airport’s total cargo and handles more than 180,000 packages every hour at its World Hub, which is located at the airport. Being near this hub is key for e-commerce distribution and will continue to draw occupiers to the region for the foreseeable future. The International Port of Memphis is the second-largest inland port on the shallow draft portion of the Mississippi River and the fifth-largest inland port in the United States. The Port is key to feeding product to Memphis’ large rail network. In fact, Memphis is the third-largest rail center in the U.S. behind Chicago and St. Louis, and home to nine fully operational rail yards with a total current container capacity of more than two million annual lifts. 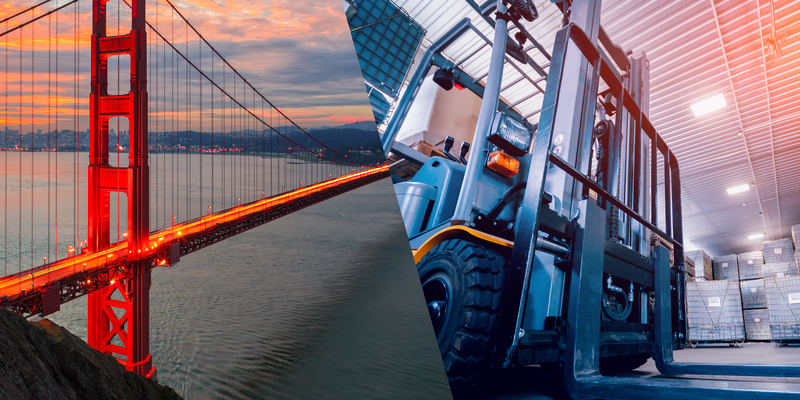 Even though Northern California is more widely known as a key hub for the tech industry, the region is becoming a major big-box industrial market. Demand for big-box product has exploded due to the rise of e-commerce, as occupiers scramble to service the growing young population in the area. Northern California is really a tale of three markets, the first of which is the East Bay—a mature market near the Port of Oakland. Vacancy rates remain relatively low, with record-high taking rents in the market. Because of land constraints in the Oakland area, big-box development has shifted to the growing Stockton/San Joaquin County region, where nearly 88% of the 9.4 million square feet that completed and where all of the top leases in 2018 resided. While a majority of the big-box development and activity is in Stockton/San Joaquin County, Sacramento is becoming an emerging big-box market on its own. Occupiers and developers are looking at the market as a big-box alternative because of its ample and affordable labor. Demand and taking rents continue to ascend in Northern California. A record 10.8 million square feet leased in Northern California, increasing net absorption to a record 9.5 million square feet. Taking rents finished 2018 at an all-time high at $5.55 per square foot per year NNN. Taking rents fluctuate significantly depending on the market the building is located, however. East Bay taking rents finished 2018 at $9.36 per square foot per year, while Stockton and Sacramento produce much more economic taking rents of $6.00 per square foot per year and $5.64 per square foot per year NNN, respectively. As the region continues to grow, big-box product demand will likely increase, leading to continued new development, strong leasing, robust investment and continued taking rent growth. Stockton/San Joaquin County will continue to lead the way in new speculative and build-to-suit development, while Sacramento will also be viewed as a viable alternative. While East Bay is definitely an infill market, the needs of occupiers to be near the Port of Oakland and the city of San Francisco could lead to some redevelopment and/or construction of multistory warehousing. Northern California is home to both the Port of Oakland and the Port of Stockton. The Port of Oakland is a world-class international cargo transportation and distribution hub. Located on the mainland shore of San Francisco Bay, Oakland was among the first ports globally to specialize in the intermodal container operations that have revolutionized international trade and that stimulate the global economy. The Port of Stockton is located in the San Joaquin Valley and is situated near four major freeways and two transcontinental railroads. Occupiers of big-box space in Northern California can also take advantage of four cargo airports including Oakland International Airport—the 11th largest cargo airport in the U.S.—San Francisco International Airport, San Jose International Airport and Sacramento’s Mather Airport—a growing air freight hub in Northern California. Development was robust in 2018, with nearly all of the product hitting the market leased by year-end. A decade high 11.2 million square feet completed, and much of this space was located in the Central New Jersey market along the turnpike. Under construction product dropped by half compared with 2017, finishing the year at 8.5 million square feet. Not surprisingly, much of this space is showing strong demand and will be taken quickly in the coming year. Big-box vacancies are projected to drop to record lows despite the 8.5 million square feet under construction. Despite the need for new big-box space, land is getting harder to find, especially in Northern New Jersey. Because of this, redevelopments of older industrial, retail, or even Class B office space will increase in the region, despite the higher costs. The region could also see interest for future multistory warehouse development, although at the time of this report the immediate plans for these types of buildings were centered within the five New York City boroughs. Surrounded by more than 61 million people within 250 miles of its core, the Northern-Central New Jersey market services the largest population concentration in the country. Because of its location and robust logistics advantages, occupier demand remains strong for big-box product with vacancies finishing 2018 at 3%, the lowest of any North American big-box market showcased in this report. 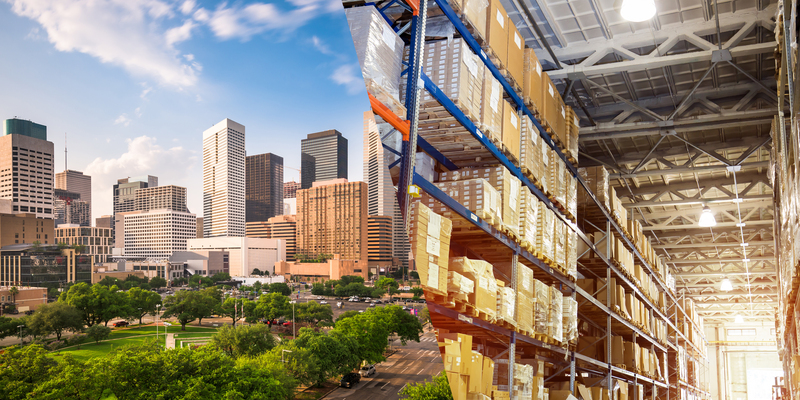 Demand from both retailers and the 3PL industry kept new leasing activity robust in 2018 at 13 million square feet—an all-time record for the market, and the fifth consecutive year leasing surpassed 10 million square feet. Strong leasing activity raised overall net absorption to a decade high 10.2 million square feet at year-end. Low vacancy rates put significant pressure on taking rents, which finished at an all-time high of $8.16 per square foot per year NNN, an impressive 25% increase compared with the previous year. Investors also expanded their portfolios in the region with companies including Goodman and Zurich making large purchases. 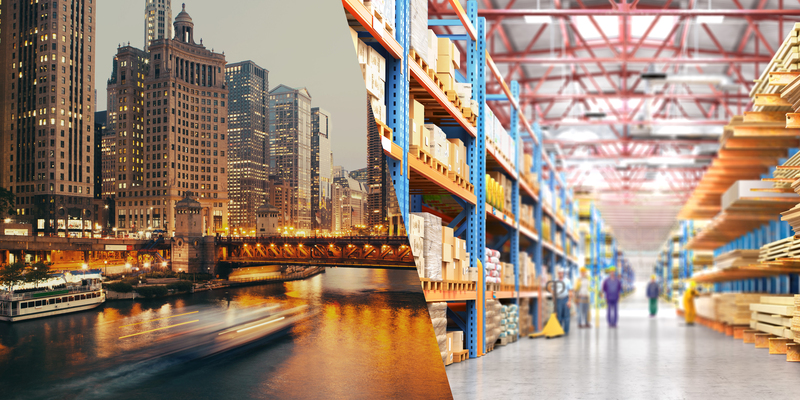 The Northern-Central New Jersey market is home to the busiest seaport on the East Coast of the United States—the Port of New York and New Jersey—which remains one of the top demand drivers for industrial real estate in the region. Of all the U.S. ports, the Port of New York and New Jersey is best positioned to take advantage of the increased imports and larger ships that have resulted from the newly expanded Panama Canal. The recent raising of the Bayonne Bridge to accommodate Post-Panamax ships should keep import volumes for the Port strong for the foreseeable future. The region’s logistics advantages go beyond the sea with many interstate highways passing through the region. The area is also one of the top air transportation regions in the country, giving occupiers close access to two of the top 15 cargo airports in the country—John F. Kennedy International Airport in New York and Newark Liberty International Airport in New Jersey. per year NNN first year taking rent in 2018 is an all-time record high. At approximately 263 million square feet, the Southern New Jersey-Eastern Pennsylvania market is the second-largest big-box market in North America. With more than 58 million people within 250 miles of its core and a plethora of logistics advantages, the market continues to post robust fundamentals. This is evidenced by the record-breaking 11 million square feet of big-box leasing activity and 13 million square feet of net absorption in 2018. E-commerce companies continue to expand within the region in droves with Amazon.com taking another million square feet, and NFI and True Value also taking large blocks of space in the market. Despite strong leasing and net absorption, the overall vacancy rate increased 1.5 percentage points to 7.1% at year-end because of a massive amount of speculative development. More than 18 million square feet completed construction in 2018, with another 22.5 million square feet in development. under construction in 2018 is an all-time record. Sales activity also continues to be strong for investors during the first half of the year. Mapletree Investment, Exeter and LBA all purchased one million square foot facilities and these transactions continued to push up sales prices, lowering cap rates in the region to 5.5%, the fifth-lowest rate in the country. With economic conditions in the U.S. stable in the near-term and the surrounding East Coast ports performing well, big-box fundamentals should remain healthy in the region for the foreseeable future. The seven vacant buildings larger than 750,000 square feet, along with a good chunk of the 22.5 million square feet of under construction product will be taken, meaning another year of positive net absorption. Taking rents will also continue its upward trend and the overall vacancy rate should stay at or near its current rate in the coming quarters. The Southern New Jersey–Eastern Pennsylvania market is one of the most logistics-friendly markets in the country. The region is centrally located along the U.S. East Coast, giving it the capability to handle container volumes from three major seaports: the Port of New York and New Jersey, the Port of Baltimore and the Port of Philadelphia. Two Class I railroads (CSX and Norfolk Southern) and 100 major interstate interchanges are located within the region. In addition, five airports with major cargo handling capabilities are within 90 minutes of the region. This includes the Lehigh Valley International Airport, which was one of the fastest growing cargo airports in the U.S. in 2017. The Greater Toronto Area (GTA) market is the third-largest big-box market in North America. The region has become home to many e-commerce fulfillment/distribution centers for companies such as Amazon.com, Wayfair and IKEA that are drawn to the region’s vast transportation infrastructure. 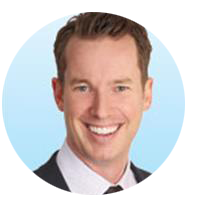 Demand has been strong for big-box product in the market for quite some time, leading to one of the lowest overall vacancy rates in North America. Vacancy rates which increased slightly at midyear to 2.6% dropped to an almost non-existent 0.9% at year-end. There are still very few full building vacancies on the market, with only three options at year-end, none of which are larger than 500,000 square feet. Despite the low amount of full building vacancies, leasing activity actually picked up in 2018, finishing at a decade high 10.6 million square feet, double the 2017 total. *Taking NNN rent is in CAD. 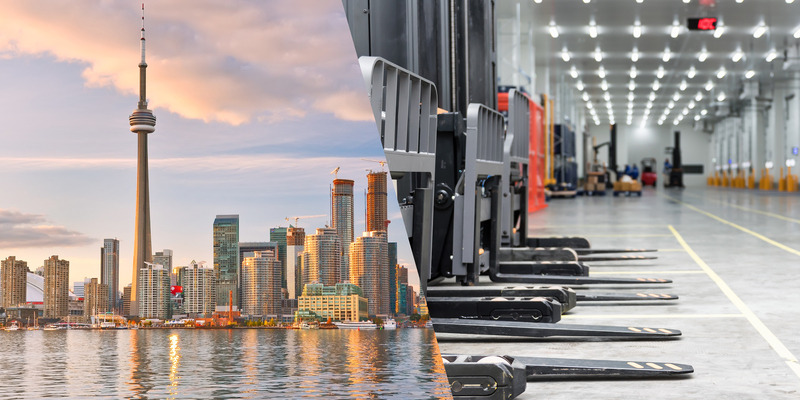 The GTA is an ideal logistics hub due to its superior access to major 400-series highways—401, 407, 409, 427, 403, 400 and 404—providing connectivity to locations across southern Ontario and to U.S. border crossings. The GTA also offers connectivity to two major railroads, the Canadian National Railway (CN) and the Canadian Pacific Railway (CP), with multiple intermodal yards located in Milton, Brampton, Caledon and Vaughan. Canada’s largest and busiest airport, Toronto Pearson International Airport, is also centrally located to the GTA markets and processes more than 45% of Canada’s air cargo. There might be no market in greater need of new big-box development than Toronto, and because of this, 6.6 million square feet was under construction at year-end. However, much of this space is already spoken for and won’t provide much of a relief for the record low vacancies in 2019. Despite a pickup in under-construction product, the prospect for future development is murky due to a scarcity of available land, as well as a difficult entitlement process in the region. As long as the inventory of available product remains limited, vacancy rates are likely to stay at record lows. In the coming quarters, absorption is expected to remain positive but lower than previous year’s totals while taking rents will escalate at a faster pace for the foreseeable future.